The company hopes you'll love how seamlessly all its gear works together. 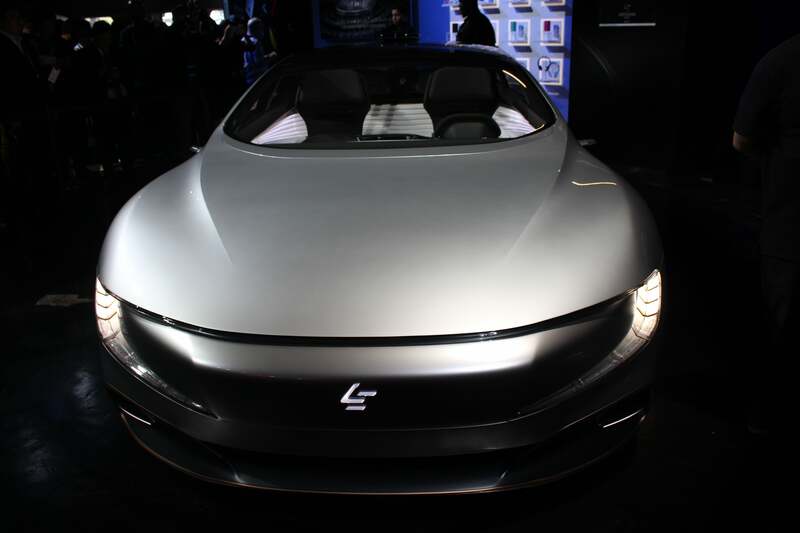 Keep an eye out for LeEco, a new consumer technology brand that just made a splashy landing in the United States. No, it’s not a French company. The China-based conglomerate (‘Le’ means ‘happiness’ in Mandarin) packed a San Francisco hall Wednesday morning with more than 1,700 partners, customers, and reporters, as it declared big plans for delivering content on new devices, from smartphones and VR headsets to smart bicycles and cars. If this sounds like a mashup of the business models for Amazon, Apple, Google, Samsung, and Tesla, you’re right—LeEco is aiming straight at these tech giants. And if it seems like the United States doesn’t need any more phones, TVs, or streaming services, you could make a strong argument for that, too. As luck would have it, though, Samsung’s battery debacle leaves a huddled mass of refugees looking for a new phone—and maybe looking askance at their Samsung TVs. 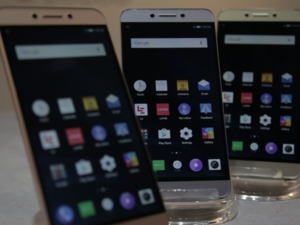 LeEco is already offering a raft of content via aggressively priced devices. The Samsung vacuum could be a helpful advantage for LeEco as it enters an otherwise saturated market. The goal of LeEco’s eui (Ecosystem User Interface) is a seamless content experience across all connected devices. LeEco claims it does a better job than any of these companies in making the hardware and the content you consume on it easier to use. The company actually started as a streaming media business. As it moved on to developing hardware, LeEco put some thought into how its content would play on the device. 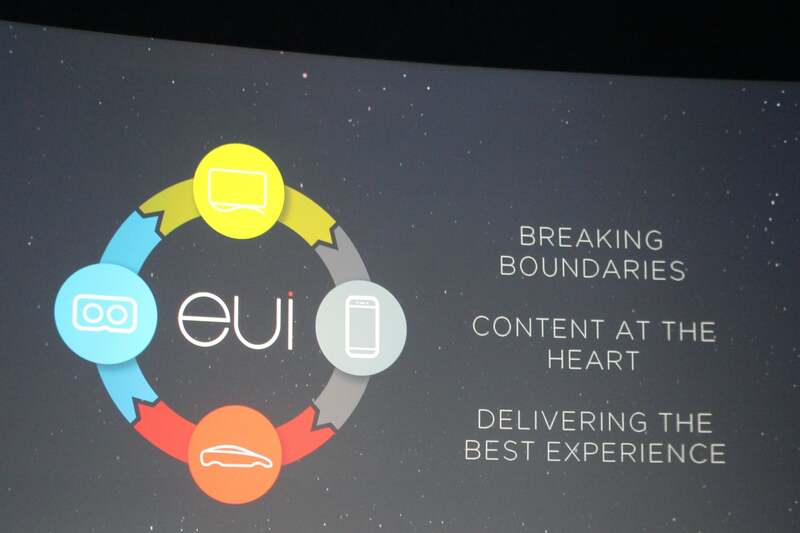 LeEco calls that friction-free design eui, or Ecosystem User Interface. In the most compelling part of the two-hour presentation, a video showed someone watching a movie on a LeEco smartphone (the company’s term is “ecophone”) and making a simple flicking gesture to move that content to a nearby LeEco TV. 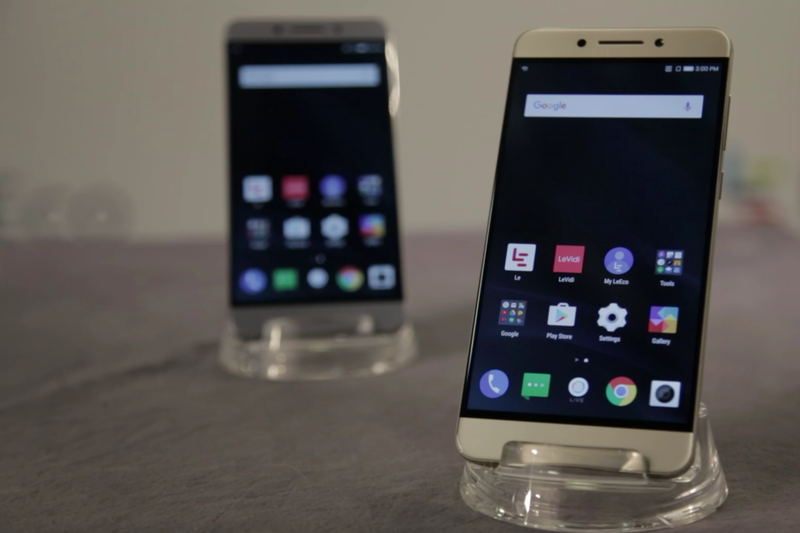 LeEco’s Pro3 smartphones offer high-end components for aggressive prices. In a dig perhaps aimed at Apple and its we-know-best attitude, LeEco also emphasized how it developed its products with lots of customer testing and feedback through its UP2U (User Planning To User) program. “As the user, you are the foundation of our ecosystem,” said Danny Bowman, chief revenue officer of LeEco North America. LeEco proceeded to introduce a raft of new products: A flagship Le Pro3 smartphone with high-end specs for just $300, and a more affordable Le S3 model for $249 (both available November 2). A line of TVs, also available November 2, ranges from 43 to 65 inches wide, priced at $649 to $1,399. LeEco also showed its ExploreVR headset (with the promise of VR content to come) and LeEco Super Bike, a smart bicycle with a display built into the frame. The company unveiled the LeSee Pro, a self-driving electric car prototype developed with Aston Martin and studded with multiple displays for streaming content within the car—including to the driver, apparently kicking back while the car does the work. The LeSee Pro will even let the driver enjoy some content while the car does the heavy lifting. Oh yeah, the content. In China, LeEco says its service boasts a catalog of 5,000 movies and 100,000 TV episodes, with a daily audience of more than 50 million users. In the United States, the company unveiled a long list of partners for its content service. The most well-known names include MGM, Showtime, and SlingTV, as well as Vice Media and Awesomeness TV. 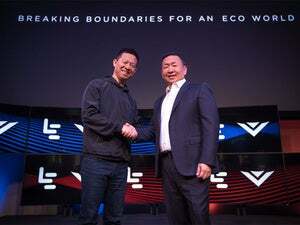 LeEco is also producing its own content through its Le Vision business unit, including the upcoming high-budget film The Great Wall, starring Matt Damon and thousands of computer-generated, ravening beasts. 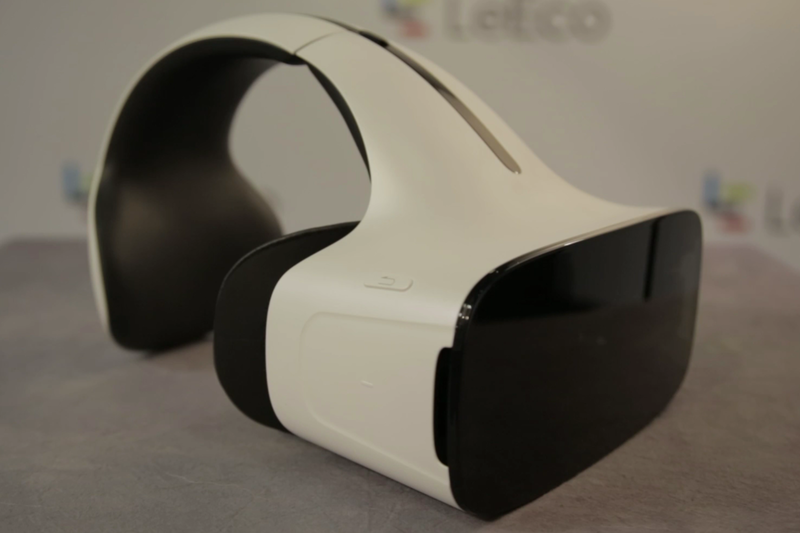 LeEco’s ExploreVR headset is designed to work with its ecophones. It is true that no company has achieved the perfect harmony of hardware and content yet. Amazon tried and failed with its Fire Phone. Apple and Google have some strong hardware and service offerings that don’t mesh perfectly yet. LeEco has no brand cachet and plenty of entrenched competition ready to quash it. It seems to be ready on the content side, but the real test will be whether its hardware can live up to American standards. If Samsung has provided an opening, it’s also trained consumers to be more wary of vendors’ promises.